After the War of the Obelisk Plot had ended, Skirmishes started appearing at the abandoned Battlegrounds. On the Battlegrounds page, a truce timer will appear. The truce lasts 7 days. After one week, you can pick one of three teams to join. It will be one of the following teams: Thieves Guild, The Sway, Order of the Red Erisim, Brute Squad, Seekers or The Awakened. After the truce ends, the Oracle will select three teams to compete in the next skirmish, excluding the winner of the previous skirmish. The stage where you get to pick a team lasts 3 days. After 3 days, the Skirmish Battle starts again. You (and the rest of your team) can battle the opponents from the other teams competing. After 4 days of battling, the battle ends and the winner is announced. The winner gets to claim the Oracle's blessing. Members on the winning team are also allowed to pick one regular boon for achieving victory. Only five boons will be available to each winner of a skirmish; all possible boons are listed below. Boons last a week, until the end of the Skirmish Battle truce. *Note: The boons for the Awakened are random each time they win! Bank Bribery You feel uplifted and your presence puts the bank manager in a delightfully good mood. What it does: This boon will increase your daily bank interest by another 3% from what the daily % you get is. Depending on how many nps you have hoarded away in your bank, this could be a very nice difference over the course of a week, and is a pretty good boon to pick. 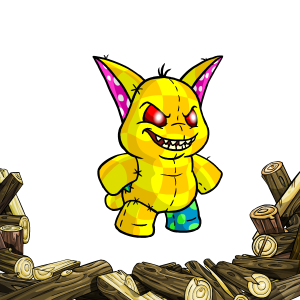 What it does: This boon will highlight certain items when they restock with a yellow flamey border. The exact qualifications for what items are highlighted and what ones are not is unknown. Book Smarts You feel as though every word you read somehow means more than it usually does. Is your mind expanding? What it does: This increases how many Intelligence points your pet receives when it reads a book. Useful if you need to get your Intelligence up to be able to weild some Battledome weapon. Cartogriphication The faeries may have powerfull spells of misdirection, but they fall like cobwebs before you in the caves. What it does: This boon will automatically direct you to the treasure in the Faerie Caverns. To find the treasure follow the the voice in your pet's head as indicated in the hits on the pages. Cheaper By the Dozen By some force that defies explanation, the rules of the Stock Market bend to your will. What it does: This boon will allow you to buy stocks priced as low as 10nps each stock, instead of the usual minimum of 15nps in the stock market. If you buy stocks daily, and have a set price you hold them until, this would save you 5k a day, and isn't a bad option if none of the other boons appeal to you. Doctor who? Sometimes, everyone gets to be healthy. 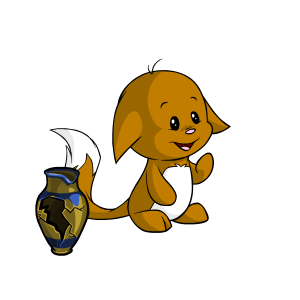 What it does: This boon will cure your Neopet at the Healing Springs if it is sick. On sick pets it will also restore your pet's hitpoints. You still have to wait 30 minutes to use the Healing Springs though. If your Neopet is healthy, the Healing Springs will act like normal for you. Tip: to make most of this boon, you would need to make your pet ill. Look at the Diseases and Cures guide to see what would make your pet catch a disease. Doppelgänger Used up? Not today. Today, the laws of physics take a little nap in the Battledome, just for you. What it does: This boon will allow you to use one-use battledome items (snowballs, muffins, potions) more than once in battle before they disappear. Some one-use items will still disappear after one use, but often, you'll find that you get to re-use them. This does not apply to once per battle items. Double Bubble There seems to be a little essence of Everlasting Apple in some of your potins. Tasty. What it does: (UNCONFIRMED) When using Essence of Everlasting Apple on a pet it will refill so you can use it a second time. Equip ALL THE THINGS Why choose when you can carry even more implements of chaos? It's like you have another hand. What it does: Allows you to have 9 equipped Battledome weapons instead of 8. Five-Finger Discount The shopkeepers just like you better than everyone else. It must be your sparkling wit. What it does: This boon will provide a 10% discount when haggling at Neopian shops. The discount only applies during haggling, so any shops that do not require haggling (like the Hidden Tower) will not be discounted. GRRRAAAAHHHHHH! You're feeling a bit stronger lately. Now might be a good time to stomp around at the Battledome. What it does: (UNCONFIRMED) This boon will provide a 10% damage increase in the battledome. It may bump your pets attack up to the next training bracket. Your pet might get 17 multiplier if their stats are maxed. LOL AVIES You suddenly feel the need to admire others' avatars... closely. Is that glitter? What it does: This boon allows you to "steal" someone else's avatar for the duration of the boon. 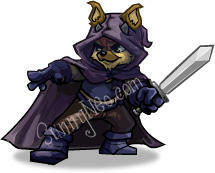 Instead of appearing as a normal avatar, however, it will show that you have "pilfered" the avatar from someone else. If you get bored of your new pilfered avatar, you can just steal someone else's avatar to switch. These stolen avatars do not count toward your secret avatar count. Refreshed Quest Request The faeries sense something within you and offer a second chance. 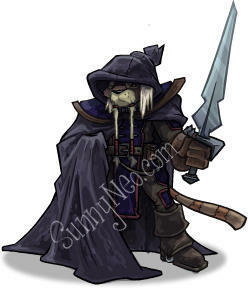 What it does: This boon allows refresh at the faerie quest page for a different faerie quest when you have an active faerie quest. You can only refresh each faerie quest you get one time for a new one, but if you get multiple faerie quests, you can refresh each one of them one time each for a better quest. This works with faerie fortune cookies that give you 1 guaranteed faerie quest per day. If you are trying for a fountain faerie quest and have a lot of time to spend running around the site in hopes of getting random faerie quests (or can get a faerie quest fortune cookie in the NC Mall) then this is a pretty decent boon to pick. Tip: To avoid a Crafting Faerie Quest, change your language to Chinese before you refresh. Right Round Round Round You feel strangely drawn to large wheels. Perhaps your luck is turning around. What it does: Allows you to spin each neopian wheel two times (Excitement, Extravagance, Knowledge, Mediocrity, Misfortune and Monotony) before having to wait the usual time to spin again. Useful if you're trying for wheel avatars! Scratch Master You feel like hanging around scratchcard kiosks. Who knows? Maybe it's your lucky day. What it does: This boon will allow you to purchase two scratchcards at any of the scratchcard kiosks instead of just one. Normally, you are required to wait 2 hours before purchasing another. What it does: (UNCONFIRMED) This boon will allow your pet to switch it's intelligence and strength around. That Millionaire Feeling And what a feeling it is. You are mysteriously compelled to use this gift at the Trading Post. What it does: It appears from the boards that this boon allows you to offer up to 1mil nps on a trade instead of the 800k max there usually is. We have not seen screenshot confirmation. This is a pretty pointless boon since it does not actually save you any nps or give you any advantage since you can just use auctions to bid 1 million nps. If you are a Premium member, next to your regular boon, you have the added bonus of being able to choose a premium boon as well. What it does: This boon will increase the amount of NP awarded from your Space Faerie Scratchcards. If you win an item from your scratchcard instead, you will also be awarded an additional prize of 1,000 NP. If you have more than one unscratched card, it will apply to all of them. Premium Dreamium You feel drawn to the Games Room, determined to leave richer than you arrived. What it does: With this boon you will be able to send one extra game score in the Premium Featured Game. So instead of being able to send 3 scores you will be able to send 4. During Games Galore, you will also get one extra score (for a total of 6 scores). The battledome opponents are the same as the ones you could battle during the War of the Obelisk, with the exception of the warbosses. This time, the opponents will not come in waves, you will be able to battle all five opponents from two two factions you are up against right away. This means if the batteling factions are the Thieves Guild, the Order of the Red Erisim and the Seekers and you have joined the Seekers, you will be able to battle all opponents from the Order of the Red Erisim and the Thieves Guild. Thieves Guild have been in 87 skirmish battles. They have won 17 times. Their last battle was the week of April 8th, 2019. No matter how many battles you've fought, if you are on the loosing team, you will be rewarded one of the prizes listed below. If you have won a prize not listed, please neomail us. You can check the Battlegrounds to see which prize you won. The winning team is awarded with the Oracle's Blessing in the form of Boons which are explained above. Prizes are available to members on the team who have participated enough. The current level of required participation appears to be winning a minumum of 10 battles. If you did not meet the minimum of 10 battles, you will win nothing, even if you did choose the winning team. The prizes include a faction themed avatar. You need to be on the corresponding faction to receive the avatar as a prize. Awarded to members of the winning team: The Awakened, when visiting the Battleground after the Skirmish Battles. 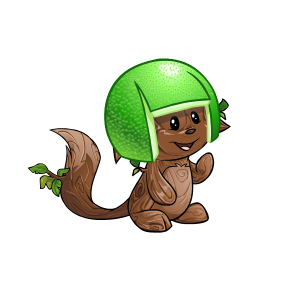 Members had to win at least 10 battles to receive this avatar. We heard there is cake inside the obelisk. Awarded to members of the winning team: Brute Squad, when visiting the Battleground after the Skirmish Battles. Members had to win at least 10 battles to receive this avatar. ¯¯¯¯¯¯¯¯¯¯¯¯ B R E A K　I T ! Awarded to members of the winning team: The Seekers, when visiting the Battleground after the Skirmish Battles. Members had to win at least 10 battles to receive this avatar. Awarded to members of the winning team: The Order of the Red Erisim, when visiting the Battleground after the Skirmish Battles. Members had to win at least 10 battles to receive this avatar. 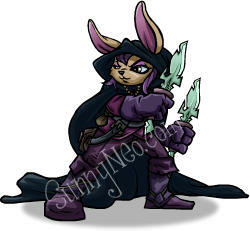 Awarded to members of the winning team: The Sway, when visiting the Battleground after the Skirmish Battles. Members had to win at least 10 battles to receive this avatar. Awarded to members of the winning team: The Thieves Guild, when visiting the Battleground after the Skirmish Battles. Members had to win at least 10 battles to receive this avatar. 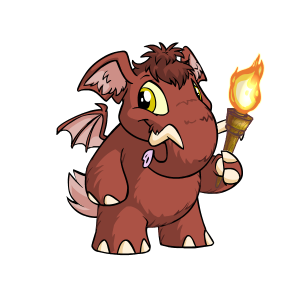 You are now eligible to use the 'Battleground: Thieves Guild' theme when browsing the Neopets.com website! Check out your User Preferences to change your theme. Or, click here to apply it automatically. Below you can see the results from each skirmish battle a year back. The winners of the match are in yellow.